It is an application that provides capabilities for multiple users with different permission levels to manage all or a section of content, data or information on a website project, internet or intranet application – Bernard Kohan, Comentum 360 (2010). It also allows for ease of content update on a website even when one does not have much technical knowledge. It increases convenience Management of content which is a involves creating, editing, archiving, publishing, distributing web site content data and information, these are all done using the Content Management System (CMS). Due to the rapid changes in technology and growth of businesses and other organizations, individual and organizational websites are a necessity. Businesses need websites to keep in touch and up to date with their partners and potential customers. To keep the website’s content up to date, the content management system becomes crucial. There are different content management systems in the market to suit ones needs. They include; Wordppress, Joomla and Drupal. All these systems reduce the regularity of one hiring a website professional to manage content for them. But it does not mean with a CMS system, web site technicians are no longer needed for the running of your web, of course they are. After the acquiring of a Content Management System (CMS) one needs a web programmer. For most open source Content Management System (CMS) systems that are made to cover every possible functionality requires an experienced web programmer to make any alterations to suit one’s business aims and also maintaining an advanced project. Different Content Management System (CMS) systems allow a web site administrator or member to perform certain operations. They include, editing, publishing, archiving web pages, articles blogs, events. It also allows viewing and statistics site data. Without this development all these operations could only be done by people with web site technical know how. Thanks to these developers. ln addition, these web managers also have a graphic user interface that allows access and control of the website through a web browser. The graphical user interface is a feature that allows one to visually control activities in the computing field as it has icons that represent different functions. 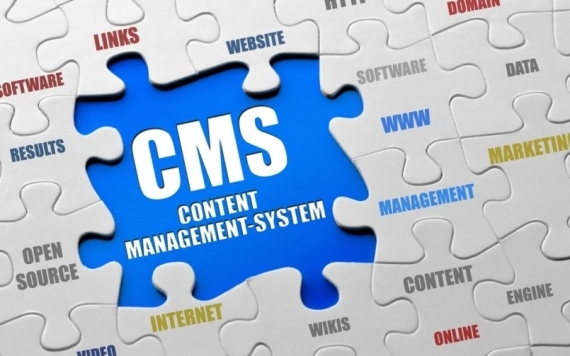 Despite all these uses, there are various misconceptions and pitfalls of the Content Management System (CMS) system. Some believe that it is a main thing that can lead to the success of the web. This is false as the success of a web is based on the content of the blogs on the website. However, it is a very crucial tool for the running of a web site, in other words – it is a very crucial tool for your business.